The Glock 45 improves upon the "crossover" design with its Gen5 flared magwell, and forward slide serrations. Following the release of the 19X, the Glock 45 is the second Glock handgun in the "Crossover" style. 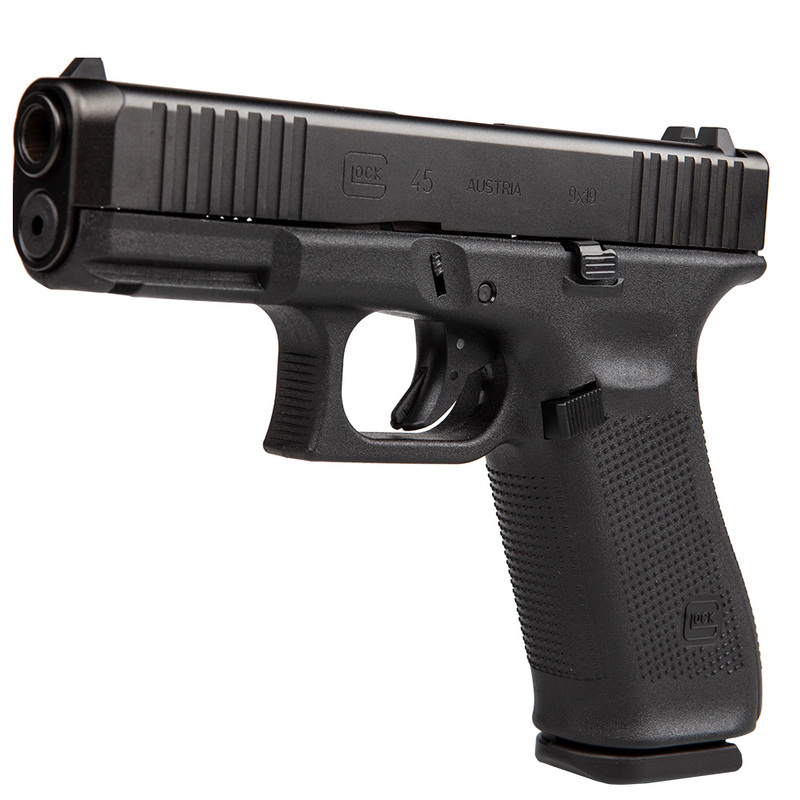 Combining the 19X design with a true Gen 5 frame and forward slide serrations, the G45 is built to Glock Perfection. The traditional black slide features the nPVD finish which provides improved resistance to corrosion, chemicals, and the elements; as well as the Gen5 Glock Marksman Barrel for enhanced accuracy and consistency. Comes in the standard Glock logo case, with 3 17-round magazines (10-round magazined where restricted). As usual not disappointed at all. Another good Glock product.Shoots real nice. Absolutely love this pistol! Handles beautifully!!!!! I'm not one to like recoil and this has very little. my first Glock, Now my best daily carry,extra capacity,fits my large hands, with a pancake holster not noticeable, my only down fall is the tiny break down lever ,so I changed it for the extended lever ,now it's perfect.